Glow-T’s Mineral Powder Foundation Awards. This talc-free, loose powder foundation contains Korres signature Wild Rose Extract, a natural source of vitamin C that helps to reduce the appearance of fine lines and skin discolorations. The texture is lightweight and feels like it allows the skin to breathe. It glides on the skin with a silky-smooth texture. The coverage is very sheer which makes this the perfect setting powder, for the brightening benefits and SPF 30. Originally developed with leading doctors and for use in a medical setting, Youngblood minerals are some of the finest available. The Natural Mineral Foundation is no joke. The ultra-fine powders provide the most full-coverage I have seen, yet still feels light on the skin. It produces a flawless, glowing complexion and covers any blemish or discoloration properly. Perfect for all skintypes, it is enriched with minerals that provide UVA/UVB protection and is completely free from talc, perfumes and chemical dyes. This finely milled powder is composed completely of natural elements with 15 active amino acids. It helps to clear the skin of toxins, promote healthy skin-cell growth and fight the aging process. The real selling point is the amazing satin finish this product produces. It makes skin look incredibly youthful and luminous. While buffing this product into the skin, it almost feels like a cream and smooths over the skin effortlessly. The water-resistant powder is long-lasting and provides medium coverage and the shade selection is full of neutral tones that look natural on the skin. 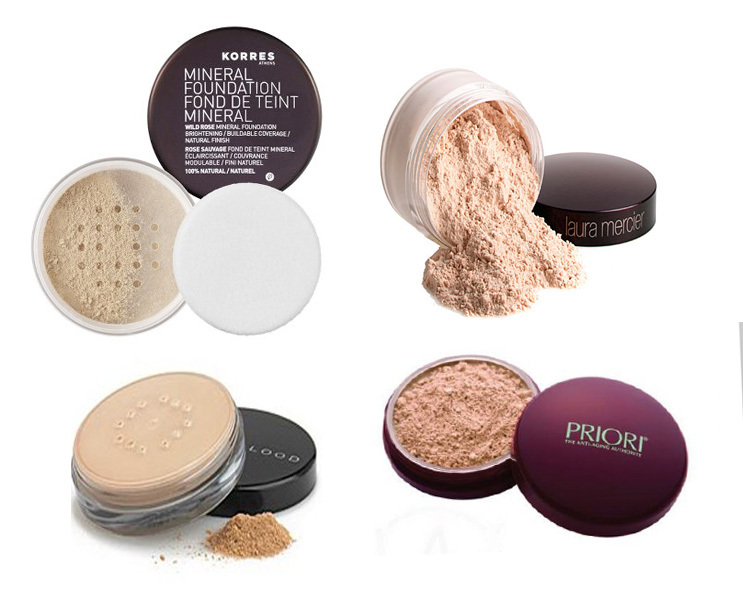 The All-In-One mineral powder foundation. Treat/Cover/Protect. The only mineral line that contains CoffeeBerry, a powerful antioxidant that fights free radicals and the causes of aging skin. This foundation feels weightless on the skin. It contains light-diffusing minerals that reduce the appearance of fine lines and wrinkles producing a smoother more perfected complexion. It not only evens-out skintone and redness, but treats the underlying causes. Recommended by the Skin Cancer Foundation, this is the best choice for broad spectrum UV protection: SPF 25, UVA 10, PA+++. When I wear this foundation, I think of it more as skincare than makeup. It gives me the perfect coverage and glow, in which I even feel comfortable wearing it to the gym. This is my pick for a Mineral Powder Foundation, it is truly in a category of it’s own. Posted on April 17, 2012, in Beauty, Face, Skincare and tagged all-in-one mineral powder foundation, amino acids, anti-aging, Best Coverage, Best Finish, Best in Show, Best Of, Best Texture, blemish, brightening, buffing into skin, causes, chemical dyes, CoffeeBerry Perfecting Minerals, complexion, consistency, cover, coverage, cream-like, developed, discoloration, fine lines, finelt milled, flawless, free radical, full coverage, glow, healthy glow, healthy skin-cell growth, Korres, Laura Mercier, leading doctors, light-diffusing, long lasting, looks natural, loose-powder, luminosity, medical settings, Mineral Makeup, Mineral Powder Foundation, Mineral Powder SPF 15, natural elements, Natural Mineral Foundation, neutral tones, PA+++, perfumes, powerful antioxidant, PRIORI, protect, protection, radiance, redness, setting powder, sheer coverage, silky, skin, Skin Cancer Foundation, skincare, skintypes, smooth, SPF, talc, the best mineral makeup, top mineral powder foundations, treat, UVA, UVB, Vitamin C, water-resistant, weightless, Wild Rose Extract, Wild Rose Mineral Foundation, wrinkles, Youngblood, youthful. Bookmark the permalink. 1 Comment.